In the late nineties Northern Ontario was rockin’ and was quickly becoming a premier ride destination for thousands of snowmobilers across Ontario, the US and Quebec. One of the missing pieces of this vast trail system was a link that would provide snowmobilers with a long distance loop. Knowing this, the hard working folks and businesses in Chapleau, Foleyet and Timmins invested two years and endless man-hours and developed a 200-mile super trail that linked Timmins to Chapleau. I took part in the Grand Opening Ride and in the fall of 1999 I penned an article entitled "Chapleau Gets A New Winter Highway". 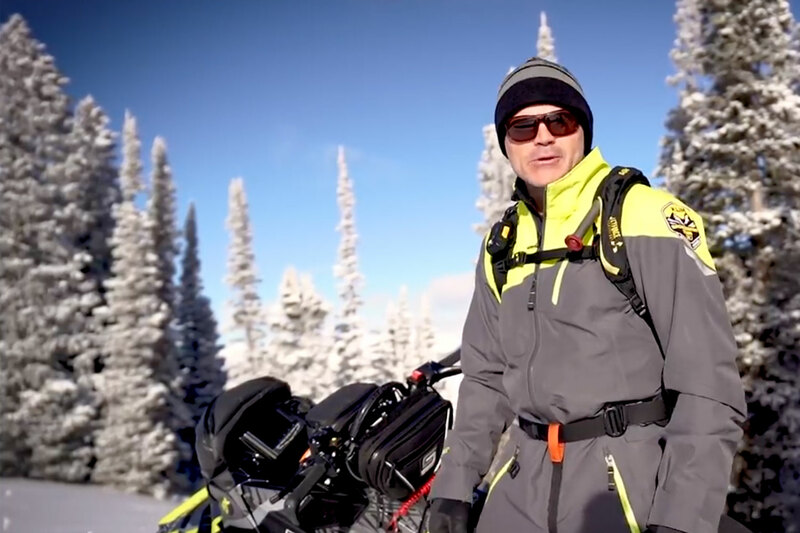 The lead-in to this editorial was a famous line from the movie Field of Dreams, "If you build it they will come" and for the better part of 10 years snowmobilers came from all over to ride this incredible loop. 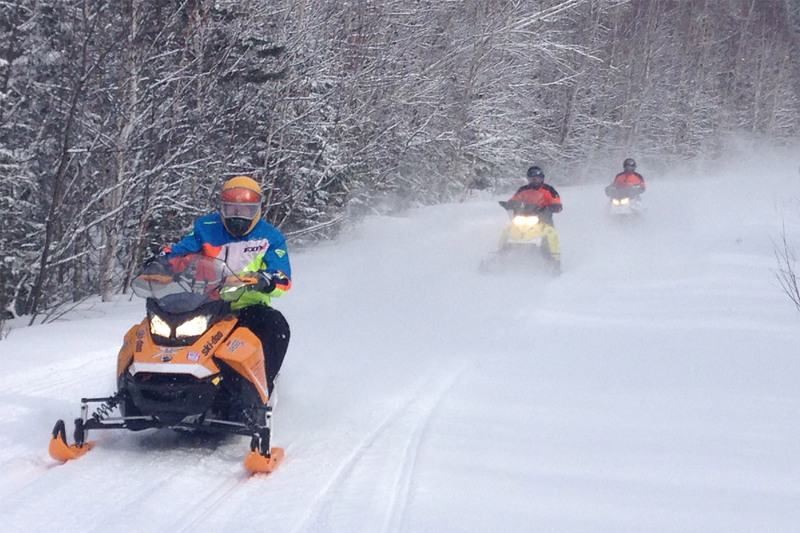 The recession of 2009 really put a damper on snowmobiling in North America and eventually with dwindling permit sales and a lack of financial support to the clubs, the loop from Timmins to Chapleau was sadly shut down. As the economy rebounded, permit sales began to rise and after several years of being closed, C101F was reopened as C101D last winter and in early March, 2017 I along with my good friends Richard Hiley, Jim Brogan and Harold McAdam had the pleasure to ride the complete loop chalking up 1,100 miles of great Northern Ontario trails and hospitality. It had been years since riding this loop and I'm quite sure the trail has a lot fewer corners due to logging and improved trail base. Make no mistake about it; many of the trails up in this area of Ontario are thanks to logging operations making these super snow highways. No complaints here. With Trail F being closed from Chapleau to Missinabi has lead to a new section of trail south out of Chapleau connecting to D Trail south of Half Way Haven. This new trail is just Smoking FUN to ride! 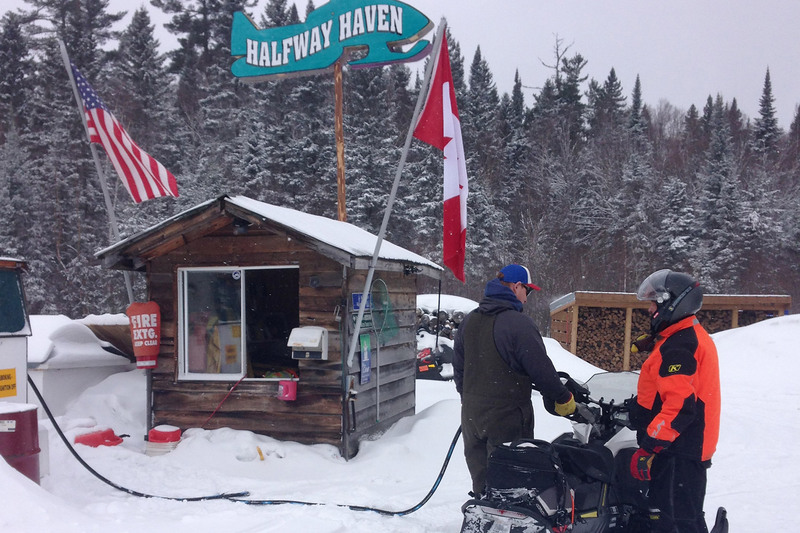 When you intersect with D trail your first stop going North is Half Way Haven, which should be on any snowmobiler’s Bucket List. Owner Sean Frawley is the perfect fit for this remote lodge. Get ready to have a great time. In keeping up with the times there are more opportunities for off-trail backcountry riding as well. Wawa is quickly becoming a sought-after destination for boondocking and let's not forget Extreme Tours out of Cochrane offering guided tours of the Abitibi Canyons all the way up to Moosonee on James Bay. Another player in the game is Mike Brazeau owner of Horwood Lake Lodge off Trail C101D between Timmins and Foleyet. Mike has his own groomer and maintains 180 kilometers of groomed trails with 600 kilometers of logging roads to play on and if you’re up for something different, they you can spend the night in one of their 4-person tepee tents! It's time to head back up to this part of Northern Ontario and rack big miles on this newly re-opened and improved trail.